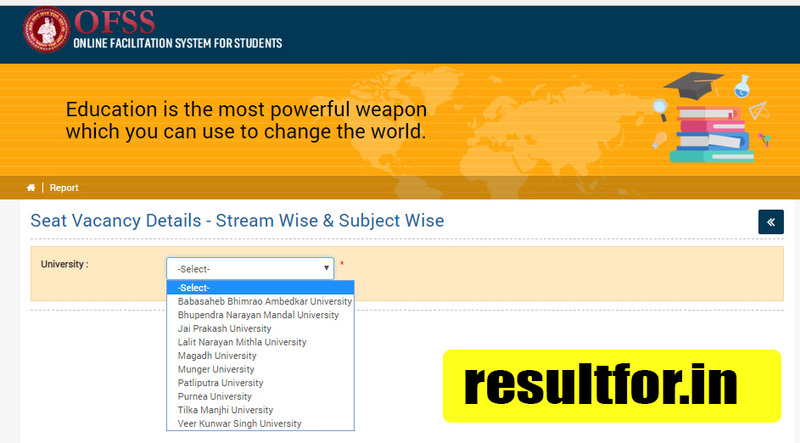 Hello, Aspirants Welcome you on the Result For Website. This is the website which provides you find all result for your query regarding Bihar School Examination Board. In this post going to share about the Bihar Board OFSS Spot Admission in Degree Course. OFSS has opened the link for apply Online Spot Admission in Bihar 10 University for Under Graduation course like Ba / Bsc / Bcom. Yet you have not applied and want admission in Bachelor degree course then you first apply through BSEB OFSS Degree Course Spot Admission. 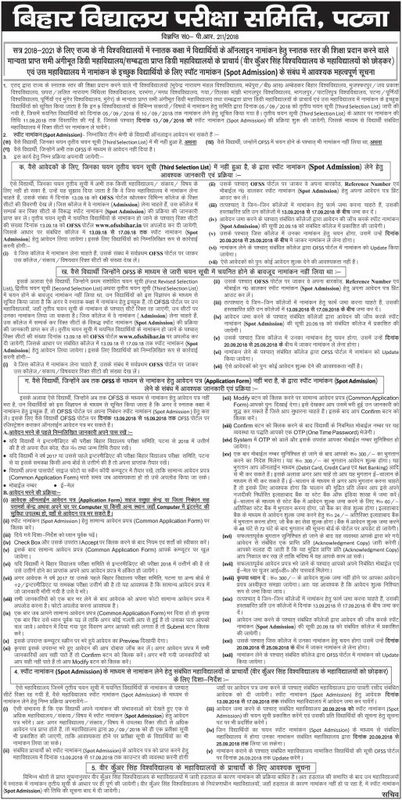 Scroll down the page for How to Download Bihar OFSS Spot Admission Degree Course Intimation Letter. Bihar School Examination Board this year doing counseling for the admission in 10 University for admission in UG Course. BSEB after the announcement of Bihar board intermediate Compartmental Examination Result 2018. To Save one year board has open the Spot Admission in Under Graduation Course. After the apply Online Facilities System for Students now Ofss soon going to upload the Admission Letter on the Official website of BSEB OFSS. First of all login the BSEB OFSS website. Check out university college wise vacant seat. College wise / Streamwise / subject wise/total admission vacant number at last column will be shown. After that log on Students login of and enter application reference number and mobile number and take print out and submit it to colleges where you applied 13/09/2018 to 17/09/2018. Then between 20/09/2018 to 25/09/2018 Aspirants will be able to take admission. As the Board has not given the option to choose between College and university, hence students are very excited to know that which college has been allotted for them and in which course. If you are such students who have applied for it. Now want to download Bihar University UG Course Admission Letter. Here we will provide you a link for it and below is mentioned how to download Admission Letter for UG course Spot Admission. Click on Download Intimation Letter. Important: Admission Application for Online Spot Admission in Degree Course going to as the Admission letter will be uploaded after the allotment of colleges and course, We will update for it also. Still, you have any queries then you can ask through the comment.